In the hindsight of the horrifying assassination of two on-duty NYDP officers, Rudy Giuliani, former New York City Mayor, united with “Fox and Friends Weekend” to give his take on what he thinks Mayor Bill de Blasio should do to calm tension throughout the city. Giuliani acknowledged nationwide protests against racism and police brutality following the deaths of Michael Brown and Eric Garner, but is tired of the lengthy strings of propaganda. According to Giuliani, de Blasio needs to admit that he was wrong by placing too much emphasis on police conduct, instead of focusing on violence and crimes within particular communities. Giuliani suggests that “the police are doing the most in these very, very poor communities” and that “police officers are doing the most to save the children that are at greatest risk”. 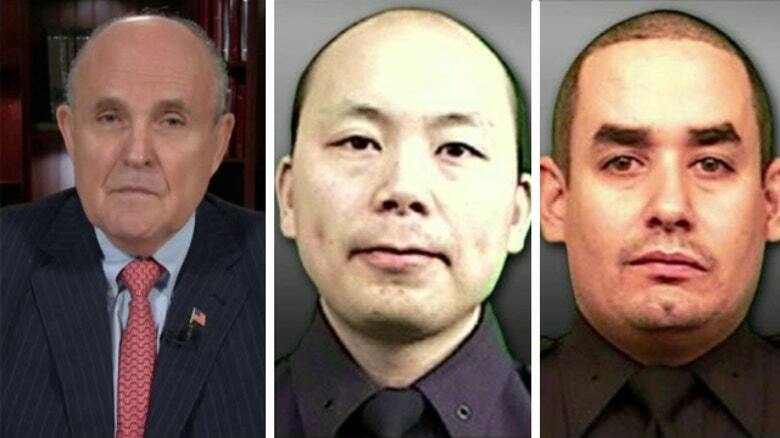 Furthermore, Giuliani proclaims that “the politicians with this propaganda, separating the community from the police, are doing something that’s shameful. And they have to stop doing that”. He thinks that de Blasio let all of the protests get unruly and out of control which created more problems than it helped solved. He neglected the importance of fatherhood and education within the poor communities of New York City. For black lives to be saved, Giuliani wants people to start thinking about the underlying problems and figuring out ways to solve them instead of blaming it on the police every single time. According to him, “the police are doing the best job of saving black lives”.